Submit Your Request, We’ll Do The Rest. 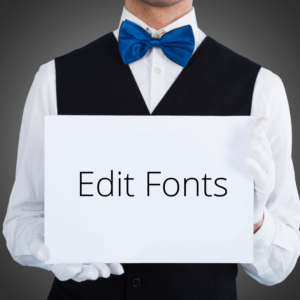 A La Carte Website Edits are the perfect solution for small- and medium-sized businesses that need a new edit to their website. Simply browse through our services below and purchase what you need. If you don’t see what you need, either contact us or submit a Custom Request and we’ll get back to you soon. Save 25-45% on all the below services plus more with our A La Carte Membership.